Many years ago when man started cultivating the ground and growing crops rather than relying on a hunter gatherer method of sustenance, the plough has been the most important implement used. 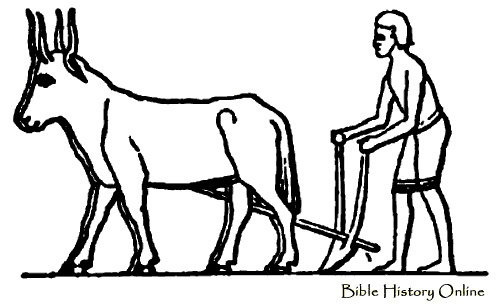 In very early times a hoe like tool was used pulled by man himself. Later animals were used to pull a crude type of plough (oxen and horses) but it wasn’t until the eighteenth century that ploughs took on the looks that we associate with ploughs of today. Types of Ploughs. A variety of ploughs can be seen being pulled by tractors. There are mounted ploughs attached and lifted by the tractor and trailed ploughs which are towed behind the tractor. Some ploughs are controlled in varying degrees by hydraulic controls on the tractor but many are adjusted manually by the ploughman. Reversible ploughs flip over at the end of the row and return down the same row-reversible ploughs. (These turn all the soil in 1 direction.) 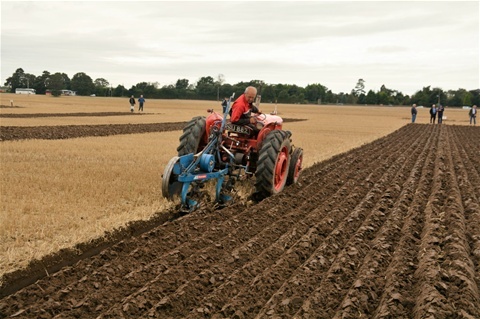 Furrow widths vary from 7 or 8” for horse ploughs to 14” for bigger tractor pulled ploughs. 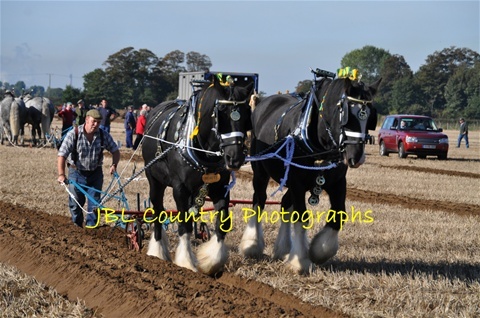 A horse usually ploughs 1 furrow whereas one of the giant tractors of today can pull up to 10 furrows. How much land can be ploughed? As a good rule of thumb it was aid that a good horseman could plough 1 acre of land per day. 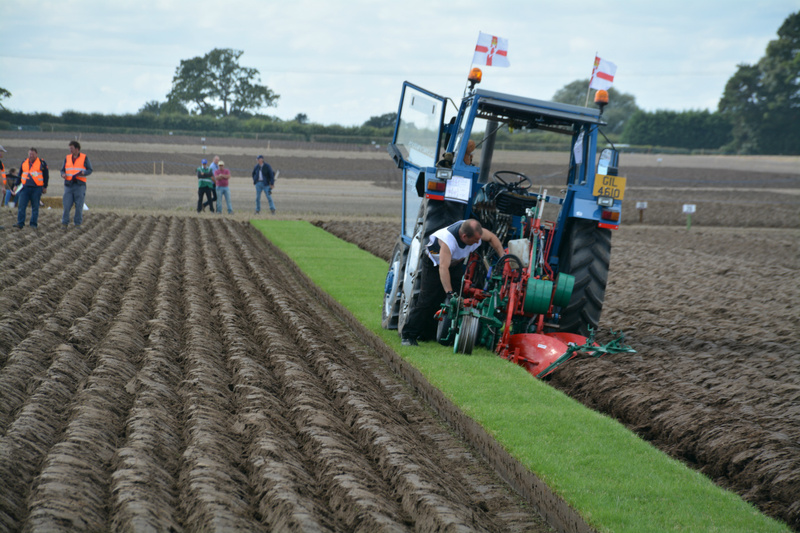 With one of the modern giant tractor 4 to 5 acres can be ploughed in an hour! Why Plough? Ploughing turns over the soil burying stubble, weeds and vegetation left over from the last crop. It exposes ne soil to the elements so that it can be weathered during the making a frost mould and therefore making a seed bed easier to prepare. Ploughing levels the ground and burying the vegetation etc. helps to increase the organic matter content (humus) of the soil.